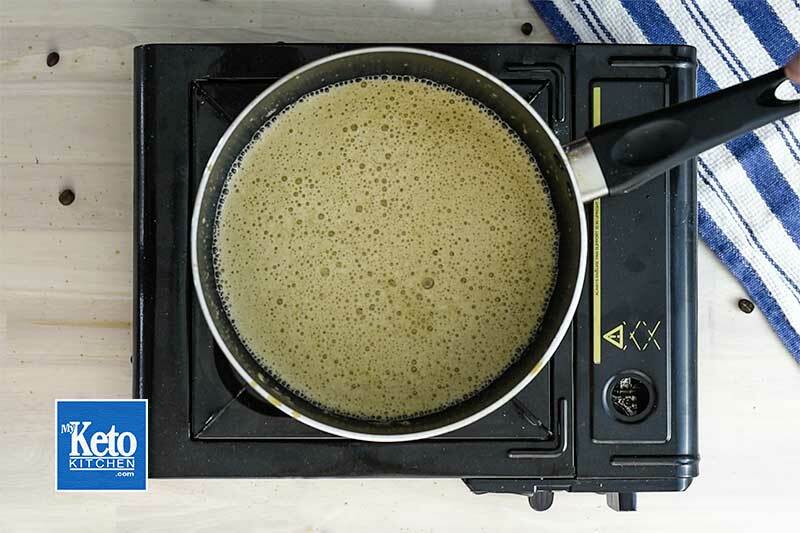 This Keto Vanilla Latte recipe is a tastier version of Bulletproof coffee. Instead of butter, we use heavy cream and in place of coconut oil, we use MCT powder. That means it’s less oily and far more readily absorbed to be converted to ketones. 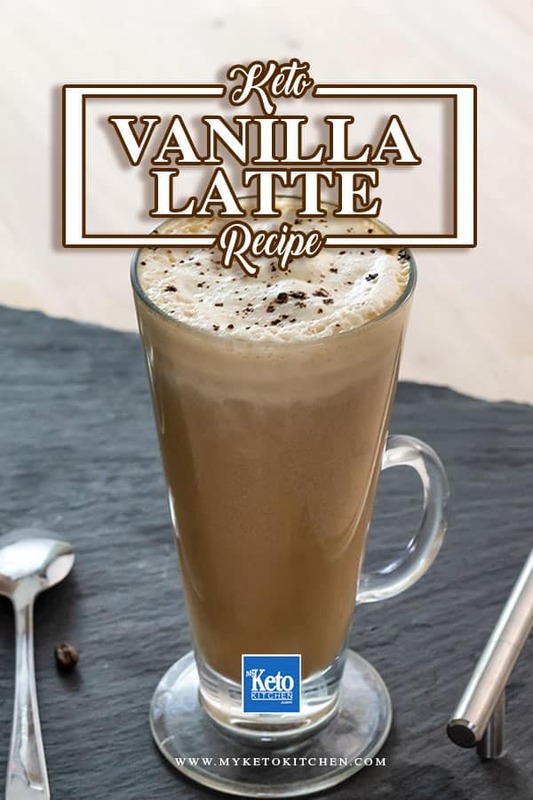 This Keto Vanilla Latte is creamy and delicious, the MCT powder and coffee will give you a good energy boost and increase ketone levels. The fat in the heavy cream will give you a more sustained energy through to your next meal. Keto Vanilla Latte, less oily than Bulletproof but more readily available medium chain fatty acids (MCT’s) for Ketosis. This enough ingredients for two hot Keto vanilla lattes with plenty of energy to keep you going for hours. Make a Keto vanilla latte, hot on the stove top. Stir the ingredients and then bend with a stick blender being careful not to spray the ingredients (pulse maybe better) until the MCT powder has been blended through. Drink your Keto vanilla lattes hot straight after making them. This Keto Latte isn’t as oily as when you make a Bulletproof Coffee. With the Medium Chain Triglycerides ( MCT powder) the fatty acids are more readily available as energy for ketosis and fat burning. 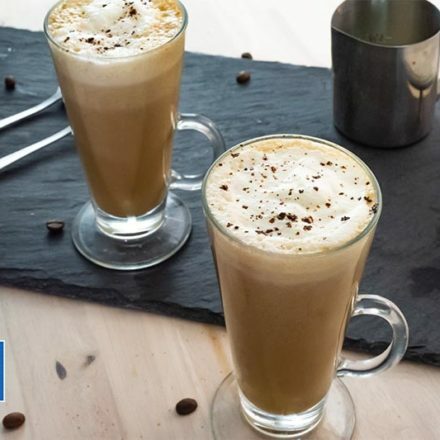 A Smooth and Creamy Vanilla Latte with a "Kick". We load this Latte with MCT oil powder and Coffee shots to Stoke your Metabolism into Fat Burning mode. The fat in the cream will keep you going for hours. 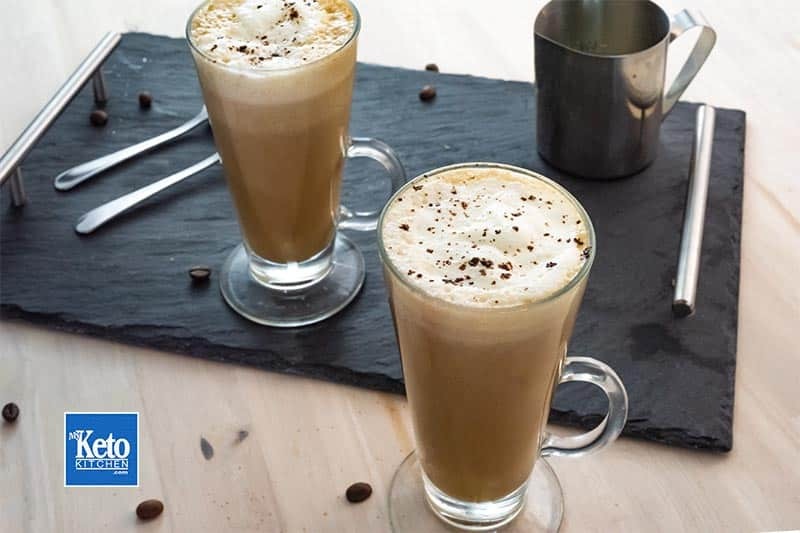 To make more of this Keto Vanilla Latte Recipe simply adjust the servings above. Keto Ice Cream Recipes – Rich & Creamy – Easy to Make at Home!